Jeanie Alderson and Terry Punt at their home in Birney, Montana. 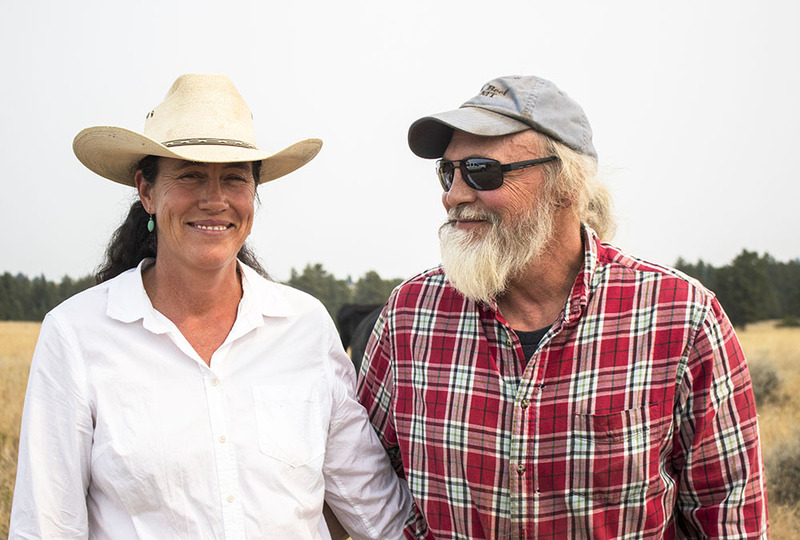 Jeanie Alderson and Terry Punt live and work at Bones Brothers Ranch in Birney, Montana. 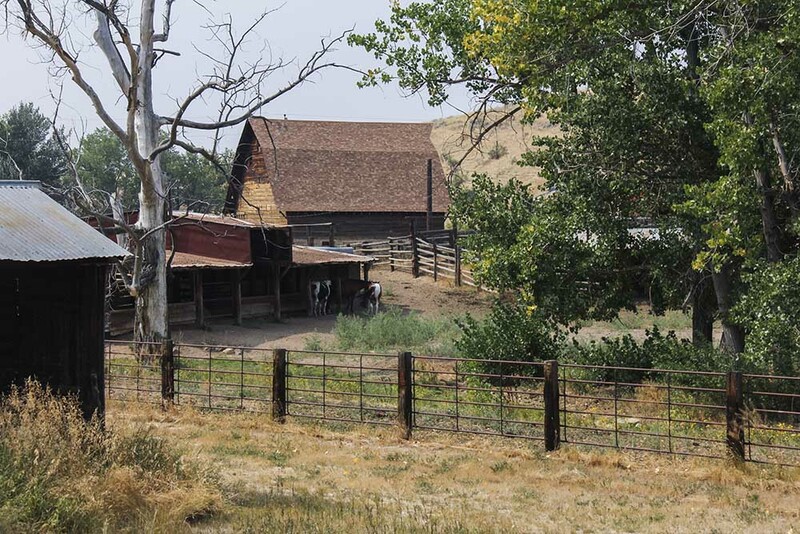 Together with Jeanie’s father, two sisters and their families, they own and operate Bones Brothers Ranch. Jeanie is a fourth-generation rancher. “I’m really proud to be part of a family business. I’m grateful that my sons and nephews get to learn from their granddad. I am thankful that I get to work side by side with my husband. I’m especially grateful that my husband, Terry, loves this life, this place and this work. He works harder than anyone I know. It takes all of us. Running a family business is a challenge and a joy. Ranching is not just a job, it’s really our life,” said Jeanie. Terry surrounded by his Wagyu heard in Birney, Montana. Omega Beef operates on three pillars: grass, water and community. Wagyu cattle produce a higher percentage of beneficial omega oils than any other breed of cattle. Omega oils help the body systems function normally, including skin, respiratory system, circulatory system, brain and organs. Each business has its challenges. The lack of control Jeanie and her family have in their product is their biggest frustration in the cow-calf operation. In both businesses Jeanie and her family abide by their three pillars: grass, water and community. Wagyu cattle out on pasture in Birney, Montana. “I think customers and producers need to work together. We’ve got to be willing to make choices for our health and our children; food is so linked to our health..." said Jeanie. 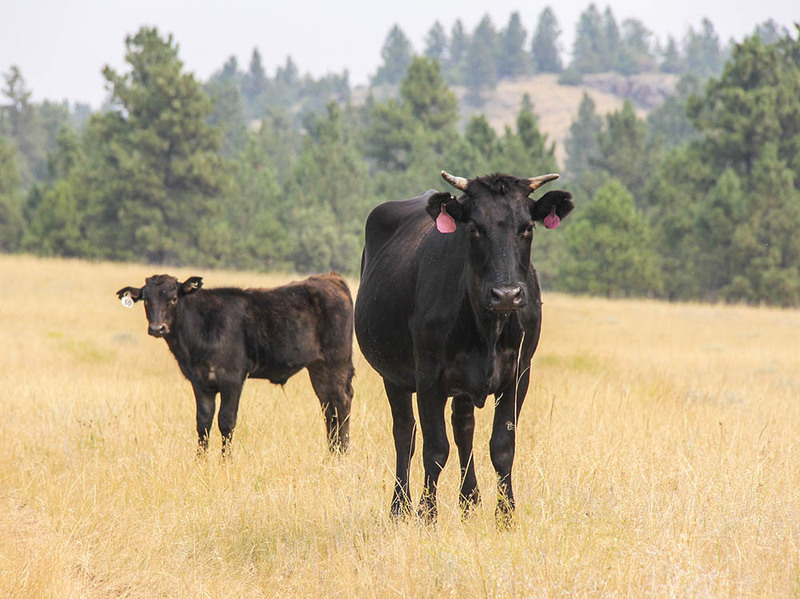 Jeanie out on pasture in Birney, Montana with her Wagyu herd. “I think customers and producers need to work together. We’ve got to be willing to make choices for our health and our children; food is so linked to our health..." says Jeanie Alderson. Jeanie and her family’s outlook to the future is towards longevity. Producers and consumers will have to come together to make vital choices for their own health and the health of land. Jeanie and Terry outside of their home. "It takes all of us. Running a family business is a challenge and a joy. 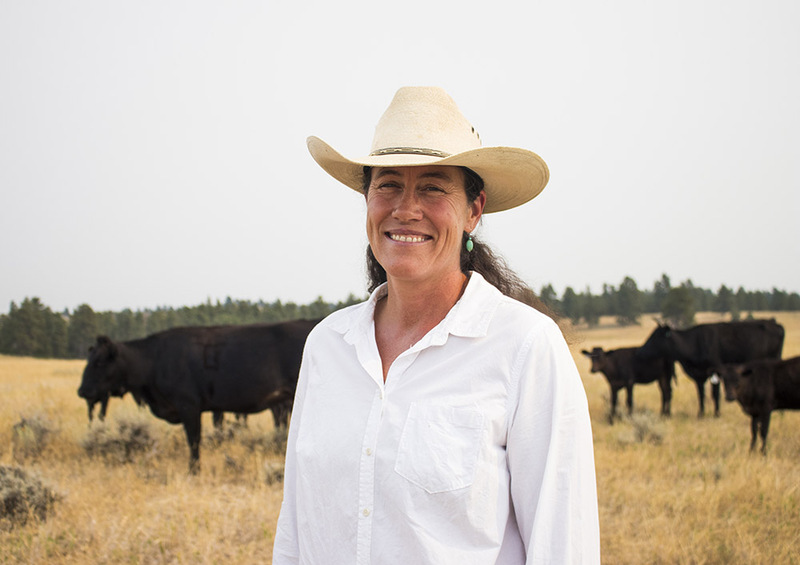 Ranching is not just a job, it’s really our life,” says Jeanie.